And also wrote about her (Bld Alexandrina) the current President of the Republic of Italy, Oscar Luigi Scalfaro, then representative. My 53 year old son had a stroke. The doctors, after several examinations, declared that he would not have more than three days of life. We appealed Blessed Alexandrina with God, to heal my son. Thank God healing was achieved. 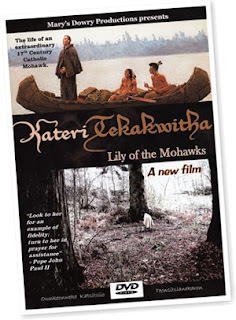 Kateri Tekakwitha - new DVD Release! From Mary's Dowry Productions comes a film on the life of Kateri Tekakwitha. This new film follows the journey of a determined young Mohawk woman who was baptized by the French Jesuit Missionaries in the 17th Century. Filmed on locations that include stunning redwoods, creeks, waterfalls and forests, combined with Native American paintings and a narrative that is from Kateri Tekakwitha's point of view, walk the 24 years of this woman's life in a 50 minute original documentary making her accessible to all. Kateri Tekakwitha is set to be canonized by Pope Benedict XVI in October 2012. The DVD has a run time of 50 minutes and is available worldwide in all region formats. Order online or through Amazon.com and Amazon.co.uk. Eugénie Signorile is preparing her “final” book on Blessed Alexandrina. Let's wait for it. We do not know anyone else that writes like her on the subject. 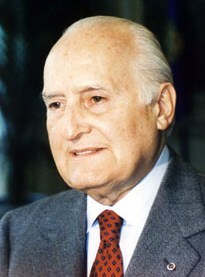 Manuel Monteiro de Castro was born near Guimarães, Portugal, 30 km far from Balasar. He wrote the foreword of the book Alejandrina. Alma de víctima y de apóstol. Jesus, speaking of the relationship of the Holy Cross with Alexandrina, said Balasar "privileged parish" ("almost a century past that I sent to this privileged parish the Cross for sign of your crucifixion") and "beloved land." Is it possible to find some sense of special privilege in Balasar even before the appearance of the Holy Cross? Originally, the area of this parish had two parishes: St. Salvador of Gresufes and St. Eulália of Balasar. Since, according parish memories, at church of Matinho (the parish one since 16th century), among the five existing altars, one was dedicated to Our Lord Jesus Christ (1736) or to the Crucified Lord (1758), we think that with it was kept in memory the patron saint of the old parish of Gresufes. To the niche of the Lord of the Afflicted in Vila Pouca hamlet, can be assigned the same task. To the definitive annexation of Gresufes, the parish church of Balasar was on Casal; later demoted to a chapel, in it was venerated Our Lady of Mercy, who is the Mother of God holding her dead Son in her lap. We can say that the appearance of Holy Cross and its devotion were long prepared in Balasar and it fit into the plan would have privilege assigned to the parish. The appearance of Holy Cross is a very relevant fact. Whether other alleged sightings of the same Cross are more legend than reality, in the case of Balasar the appearance is very well documented. But that Jesus himself associated Alexandrina with this appearance raises to the greatest height the importance that the phenomenon already deserved and makes Balasar a "privileged parish".